Old Town Park City, encompasses Historic Main Street plus the areas close to the base of Park City Mountain and Park City Municipal Golf Course. 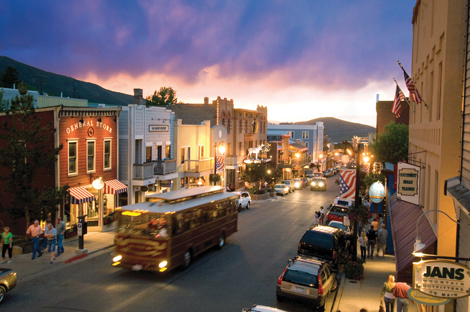 The main street area of Old Town in Park City is the center of visitor activity offering great nightlife, boutique shopping, art galleries, gourmet dining, a town ski lift, and abundant year-round activities. Old Town Park City delivers a glance into mining history. Many of the homes were first developed in the 1800’s and the charm and ambiance of this time period have been well preserved. Old Town real estate provides single-family homes and condominiums that allow weekly vacation rentals. As you view Old Town MLS listings, don't forget to save your favorite properties for viewing on return visits. Contact Cindy Wallace or call 435-901-2781 to schedule a showing in Park City. The properties for sale in Old Town include both historic and newly built single family homes, condominiums, townhomes, condo-hotels, and fractional shares. Few building lots are still available for sale and this scarcity affects the Old Town real estate values. Old Town is listed on the National Register of Historic Places due to its well preserved and renovated Main Street. The streets of Old Town are full of old mining homes that have been completely renovated and many of the 19th century homes, boarding houses, and schools are also registered historic structures. Old Town Park City is well represented by its name. Old Town is the original Park City area and holds its own unique history. In 1862, the US soldiers entered Utah to protect the federal mail route. Many of these soldiers were veterans of gold fields in other states. Because of their experience as miners, they identified the mountains and real estate of Utah as the promise of precious metals. 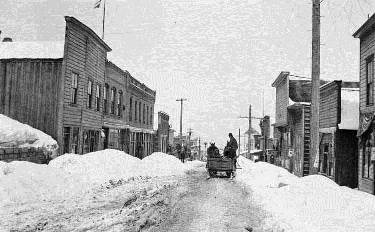 In December of 1868, the first mining claim was filed and Park City quickly became famous and our history began. Miners came from many countries. Certainly, no one ever dreamed of present-day Park City which is home to Deer Valley Resort and America's largest ski resort, Park City Mountain. And don't forget the venue for the 2002 Olympic Winter Games, which hosted guests from all over the world. In Park City, success was enjoyed by few, but produced by many; fortunes were made and lost in real estate land mining, ultimately making millionaires of twenty-three men and women. In 1872, one of Park City's silver mines called the Ontario Mine was sold to George Hearst for $27,000. He ran the mine well and it went on to produce fifty million dollars in the following years. Although mining is gone, today great deals can be made in buying Park City real estate and Old Town real estate. "Old Town Park City real estate is where the past and present come together to propose the best of the Park City Lifestyle"